A fully computerised library with bar code system provides excellent facilities to the scholars. The total number of books in the library exceeds 1,85,307. It has the distinction of housing one of the finest collections of books. College Library has got associate membership of 'INFLIBNET', which facilitates staff and students to have an access to Periodicals & Books on internet. The library remains open on all working days from 8.00 am to 6.00 pm. There is a separate Research and Reference Section, Periodicals and Magazine Section and General Reading Section. It subscribes to 103 Journals, 36 Magazines and 21 daily newspapers. Besides this it has procured 4502 back volumes of the subject journals for Post Graduate and Research Sections. The Library collection is well classified, catalogued and kept on OPEN SHELVES in a systematic way. There is also a vocational guidance centre as an allied branch of the Central Library and sectional libraries for the departments of Agriculture, Biotechnology, Botany, Chemistry, Commerce, Computer Science, English, Physics, Physiotherapy, Political Science and Zoology under the charge of Professors concerned. Students are issued books for a period of 15 days and may be reissued at the discretion of the librarian for another fortnight but not exceeding a month in any case. A fine of Rs. one per day per volume is charged for each book kept beyond the specified date. Book lost, destroyed or disfigured by any user has to be replaced by the borrower or the user has to pay double the price to the satisfaction of the librarian. Reference books, texts or current periodicals are not issued except with an express sanction from the Principal. The librarian may recall, if necessary any book even before the expiry of the period. If the date of returning the book falls on Sunday or a holiday, the same can be deposited on the next working day. All the Post Graduate Departments have Departmental Libraries. In order to help the disadvantaged and deserving students the college provides book bank facility. The section has more than 4631 books. Through this scheme the text books are issued to the needy students for the full academic session. 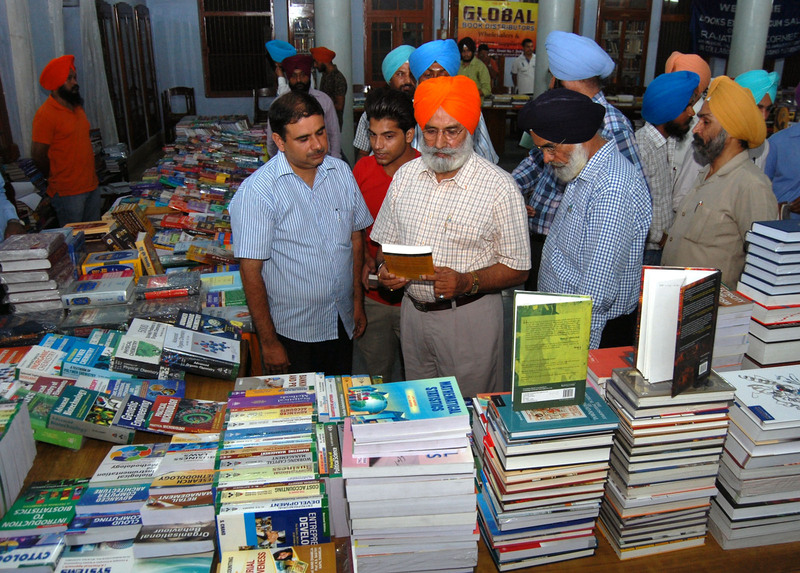 Hundreds of books from diverse fields and subjects were at the display for students during the two-day long book fair, organized at Khalsa College here today. Apart from academics, the books of general interests were also exhibited during the fair which, said the authorities, was aimed to create curiosity amongst the students to 'read books'. 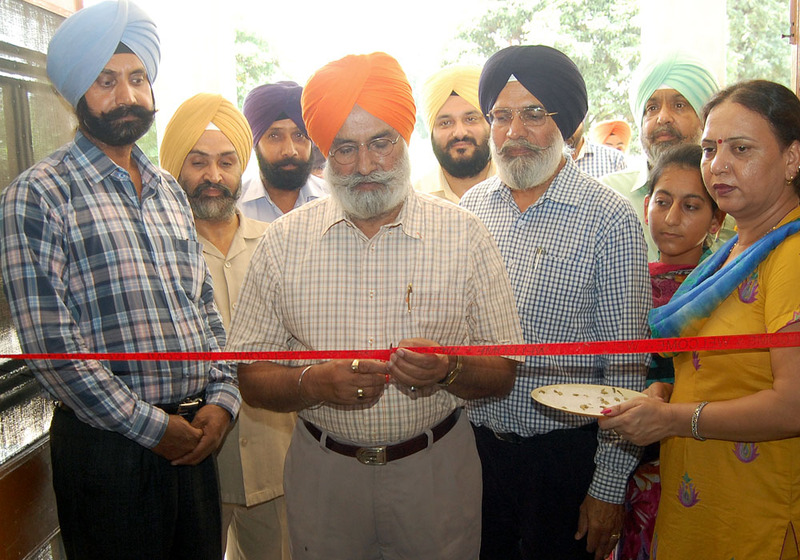 The fair was inaugurated by Khalsa College Governing Council (KCGC) honorary secretary Rajinder Mohan Singh Chhina and Principal Dr.Mehal Singh. Chhina said such exhibitions inculcate the 'reading interest' amongst students. 'The interest to read books is declining amongst the students which is worrisome', said Chhina. He said in the age of inter-net and e-books, the students prefer to spend time on computers, which should be taken as an added advantage and students should not shun books. 'Reading is a bliss and it triggers mental exercise apart from making us knowledgeable', said Chhina. The students meanwhile showed enthusiasm to peruse and buy books of their interests. 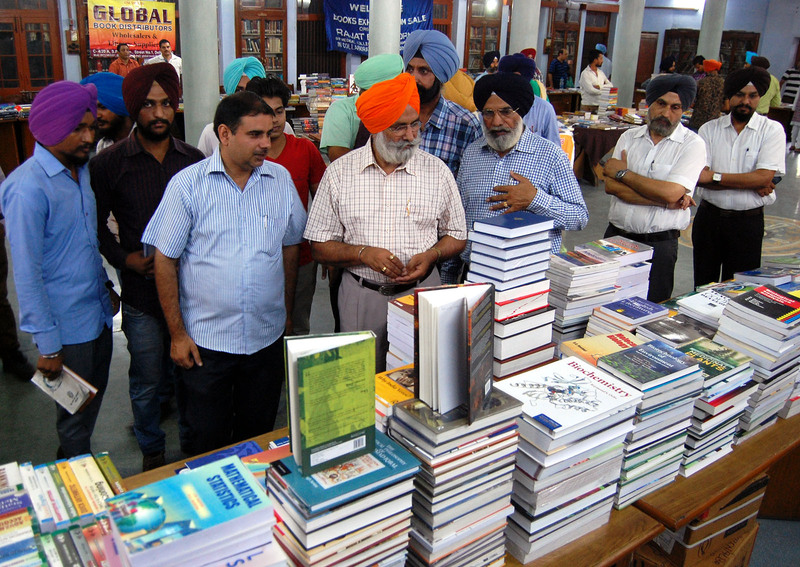 Dr.Mehal Singh said almost all the publishers from the city took keen interest in displaying their books and students found the experience intellectually stimulating. Dr.JS Arora, Prof.Sukhbir Singh, Dr.Daljit Singh, Prof.Jasjit Kaur Randhawa, Prof.Navneen Bawa, Prof.Amandeep Singh, Prof.Zorawar Singh, Prof.Jaswinder Singh, Prof Atam Singh Randhawa, Librarian Sukhdev Singh, faculty members and staff were present on the occasion in large number.